The NY Board of Real Estate Appraisal certifies, licenses and registers real estate appraisers to perform real estate appraisals. You must get the Trainee Appraiser License to obtain the experience hours that qualify you to take the test for licensed, certified, and certified general licenses. The required time to gain the 2,000 experience hours for licensing is 24 months. As a New York licensed real estate appraiser trainee, you will be able to complete inspections and appraisal reports under the direct supervision of a certified appraiser. However, the amount of work you do depends on the amount your supervisory appraiser allows you to do. He or she may just give you the task of researching property data and filling out reports. Ideally, the supervisory appraiser is a mentor who works with you through the entire appraisal process, helping and guiding you and answering questions. Finding a mentor (especially a good mentor) and obtaining experience hours can be the most challenging part of becoming a real estate appraiser. Real estate appraising is a diverse field. There are many different factors and scenarios you will encounter and each appraisal assignment is unique. After completing your first few appraisals, you will understand the purpose of field work under a supervisory appraiser and on the job training (which can take six months to two years, depending on your states minimum time requirements and how often you can do appraisal work). It requires specialized knowledge. Obtaining your trainee license demonstrates that you have the elementary knowledge necessary to begin your journey. A licensed real estate appraiser is the first level of licensing for appraising real property without a supervisory appraiser. With this credential, you are able to appraise non-complex one to four family residential units having a transaction value less than one million dollars ($1,000,000), complex one to four family residential units having a transaction value less than two hundred fifty thousand dollars ($250,000) and other types of real property having a transaction value less than two hundred fifty thousand dollars ($250,000). While most states have adopted this kind limitation for this credential, some states may vary. As a New York licensed real estate appraiser you may find yourself working for an appraisal firm or for yourself as a fee based appraiser. Your clients may be local, such as individuals, lawyers, accountants and small banks, or national clients such as from large appraisal management companies (AMCs), national lenders or government sponsored enterprises (Fannie Mae). Keep in mind, however, that many larger lenders and financial institutions may enlist only certified appraisers to complete their appraisals. The exception is if a certified appraiser accompanies you on the inspection and signs as the supervisory appraiser on the report. Regardless, as a field appraiser, your day will be divided between property inspections and completing research online and at local court houses and/or assessor’s offices (although much information is available online). For most purposes you will be completing appraisals for home purchases, refinancing, divorces, estates and investor portfolios. Education Requirements: Must have an Associate’s degree or higher OR 30 semester credit hours in specified courses; 150 hours of qualifying appraisal specific education courses are required from an approved provider (the hours are the same from the trainee license; they are not additional). 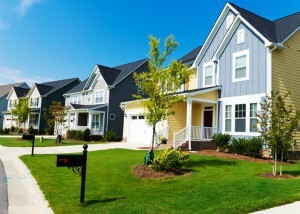 A certified real estate appraiser is the second level of New York state licensing for the appraisal of real property. It is one above from licensed and one under general certified (commercial). With this credential you are able to appraise all types of non-complex one-to-four family residential property without regard to the transaction value and other types of real property having a transaction value of less than $250,000 (two hundred fifty thousand dollars) (exact limitations may vary by state). Just like as a licensed real estate appraiser, you may find yourself working for an appraisal firm or for yourself as a fee based appraiser. Your clients may be local, such as individuals, lawyers, accountants and small banks, or national, such as from large appraisal management companies (AMCs), national lenders or government sponsored enterprises. If you will be working in larger New York cities, you may appraise a lot of condos and co-ops. As a New York state certified appraiser, you now meet the requirements of many larger lenders and financial institutions which enlist only certified appraisers to for their transactions. Likewise, as a field appraiser, your day will be divided between property inspections and completing research online and at local court houses and/or assessor’s offices. For most purposes, you will be completing appraisals for home purchases, refinancing, divorces, estates and portfolios. As a state certified appraiser, you will also qualify for many in-house positions at large financial institutions and AMCs (generally as a review appraiser). Although years of experience is often desired, having the state certification meets one of the basic requirements set by many employers and makes you more qualified than if you only have your license. Check out job postings for real estate appraisers to get an idea of what positions are available, what they entail and their exact requirements and qualifications. Working an in-house position is one of the alternatives to field work and you also get to enjoy salary pay and health benefits. 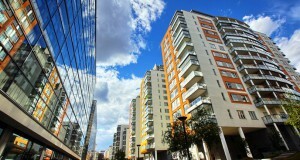 After you obtain your state certification, you may desire to appraise commercial property. For this you will seek the certified general appraiser credential. A certified general appraiser is the highest level of licensing. He or she is able to appraise all types of property – residential or commercial – with no value limit. Typically, these appraisers will spend the majority of their time appraising commercial properties. The type of appraisal could vary from a small, one-story office building valued at $250,000 to a high-rise apartment building with a value of $20,000,000. The main differences between a certified appraiser and certified general appraiser are many additional hours of coursework and 1,500 of commercial appraising (non-residential) experience under a certified general appraiser and a bachelor’s degree. Commercial appraisals are much more complex and time consuming and require far more research. There is far less margin of error. The intended user of the appraisal may be basing a significant business decision on the outcome and an erroneous appraisal could result in a loss of millions of dollars. As a result, the requirements to become a certified general appraiser are more stringent. As a New York certified general appraiser, you will typically work in a small to medium sized firm devoted to commercial work. You may but will rarely complete residential assignments. But if you do decide to complete residential appraisals you can (just like licensed or certified appraisers) do work for local and national clients devoted to residential transactions. Training Requirements: 3,000 hours in no fewer than 30 months of which a minimum of 1,500 hours must be in non-residential appraisal work. When Should You Take The Appraisal Courses? It is not required to take the required appraisal courses before finding a mentor. 1) It will help you determine your level of interest and aptitude for actual appraising. Maybe you’ll change your mind after going through the courses, or maybe you’ll become much more interested. I offer an eBook about being an appraiser, but the courses will show you actual appraising and you’ll do it in theory by completing samples (case studies). 2) If you find a supervisory appraiser, he/she may tell you to come back later once you complete the courses for the trainee level (at a minimum) and obtain the trainee license, which could take two months, depending how quickly you can complete the courses. In the meantime, someone else could take your spot. 3) Your experience hours don’t count until you’ve taken the courses and obtained your trainee license. So if you wait to find your supervisory appraiser before taking the courses, you’ll lose two months worth of experience hours (or however long it takes you to get through the courses). You’ll get the experience, but the hours won’t officially count. Of course, if you find a supervisory appraiser who is willing to take you on immediately even before you complete the courses or obtain your trainee license, do it! You don’t want to lose the supervisory appraiser. Just accept the loss of initial “log” hours for the immediate opportunity you have. The author of this article, Chris Dolland, is an active Certified Real Estate Appraiser. If you have questions about becoming an appraiser, post one in the comments below! Want to know more? 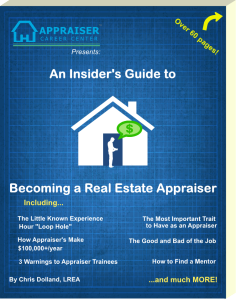 Read our 60-paged eBook written by a state certified appraiser!